Add a meaningful message to your jewelry designs with this TierraCast bead. This bead features a classic oval shape and the word "Love" decorating the surface. You can use this bead to add an accent to a Valentine's Day look, a sweet spring style, and more. It is versatile in size, so you can use it in necklaces, bracelets, and earrings. 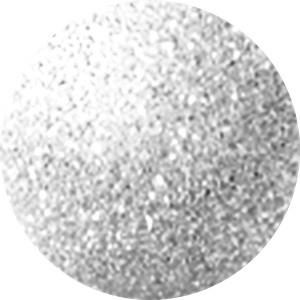 The brilliant silver shine will work with any color palette you have in mind. Add a meaningful message to your jewelry designs with this TierraCast bead. This bead features a classic oval shape and the word "Love" decorating the surface. You can use this bead to add an accent to a Valentine's Day look, a sweet spring style, and more. It is versatile in size, so you can use it in necklaces, bracelets, and earrings. It features a rich gold color. This sterling silver message bead will add meaning to your jewelry designs. It features a classic oval shape that will look great in a variety of styles. It displays the word "Love". Use it in Valentine's Day projects, bridal jewelry, and more. You can showcase it in long necklace strands, bracelets, and more. The brilliant silver shine will work with any color palette you may have in mind. This sterling silver message bead will add meaning to your jewelry designs. It features a classic oval shape that will look great in a variety of styles. It displays the word "Believe". Use it in holiday styles, spiritual designs, and more. You can showcase it in long necklace strands, bracelets, and more. The brilliant silver shine will work with any color palette you may have in mind. Add a meaningful message to your jewelry designs with this TierraCast bead. This bead features a classic oval shape and the word "Peace" decorating the surface. You can use this bead to add an accent to spiritual looks, holiday jewelry, and more. It is versatile in size, so you can use it in necklaces, bracelets, and earrings. The brilliant silver shine will work with any color palette you have in mind. Whether you are making a gift for your own grandmother, or want to let everyone know how proud you are to be a grandma, this sterling silver bead will give you exactly what you need. This sterling silver message bead will add meaning to your jewelry designs. It features a classic oval shape that will look great in a variety of styles. It displays the word "Grandma". You can showcase it in long necklace strands, bracelets, and more. The brilliant silver shine will work with any color palette you may have in mind. This powerful message bead says "Survivor" on one side and has an awareness ribbon on the other side. The oval shape is a classic touch in any style. Add it to a special necklace or bracelet for a meaningful look. It's a great option for breast cancer awareness jewelry. Pair it with pink colors for a look that will really support your cause. The versatile silver shine will work with any color palette. This sterling silver message bead will add meaning to your jewelry designs. It features a classic oval shape that will look great in a variety of styles. It displays the word "Inspire". Use it in artistic designs, and more. You can showcase it in long necklace strands, bracelets, and more. The brilliant silver shine will work with any color palette you may have in mind. This sterling silver message bead will add meaning to your jewelry designs. It features a classic oval shape that will look great in a variety of styles. It displays the word "Mom". Use it in Mother's Day projects, birthstone jewelry, and more. You can showcase it in long necklace strands, bracelets, and more. The brilliant silver shine will work with any color palette you may have in mind. Add a meaningful message to your jewelry designs with this TierraCast bead. This bead features a classic oval shape and the word "Joy" decorating the surface. You can use this bead to add an accent to holiday designs and more. It is versatile in size, so you can use it in necklaces, bracelets, and earrings. The brilliant silver shine will work with any color palette you have in mind. Add a meaningful message to your jewelry designs with this TierraCast bead. This bead features a classic oval shape and the word "Hope" decorating the surface. You can use this bead to add an accent to spiritual looks, awareness jewelry projects, and more. It is versatile in size, so you can use it in necklaces, bracelets, and earrings. It features a rich gold color. This sterling silver message bead will add meaning to your jewelry designs. It features a classic oval shape that will look great in a variety of styles. It displays the word "Faith". Use it in spiritual designs, and more. You can showcase it in long necklace strands, bracelets, and more. The brilliant silver shine will work with any color palette you may have in mind. Add a meaningful message to your jewelry designs with this TierraCast bead. This bead features a classic oval shape and the word "Hope" decorating the surface. You can use this bead to add an accent to spiritual looks, awareness jewelry projects, and more. It is versatile in size, so you can use it in necklaces, bracelets, and earrings. The brilliant silver shine will work with any color palette you have in mind. This sterling silver message bead will add meaning to your jewelry designs. It features a classic oval shape that will look great in a variety of styles. It displays the word "Sister". Use it in birthstone jewelry and more. You can showcase it in long necklace strands, bracelets, and more. The brilliant silver shine will work with any color palette you may have in mind. Add a meaningful message to your jewelry designs with this TierraCast bead. This bead features a classic oval shape and the word "Faith" decorating the surface. You can use this bead to add an accent to spiritual looks, awareness jewelry projects, and more. It is versatile in size, so you can use it in necklaces, bracelets, and earrings. The brilliant silver shine will work with any color palette you have in mind. This sterling silver message bead will add meaning to your jewelry designs. It features a classic oval shape that will look great in a variety of styles. It displays the word "Family". Use it in Thanksgiving designs, birthstone jewelry, and more. You can showcase it in long necklace strands, bracelets, and more. The brilliant silver shine will work with any color palette you may have in mind. An adorable heart adorns one side of this message bead, while the other side says "Love." The oval shape is a classic touch in any style. Add it to a special necklace or bracelet for a meaningful look. It's a great option for Valentine's Day jewelry or any romantic project. Pair it with red and pink colors for the ultimate in sweet style. The versatile silver shine will work with any color palette. Put more meaning into your jewelry designs with this sterling silver message bead. This bead features a classic oval shape that will work well in long necklace strands and bracelets. This bead displays the word "Hope", which stands out on the brilliant silver background. Pair this bead with a cross for a spiritual look you'll love wearing. It will work with any color palette you may have in mind.